The internet is replete with headlines such as “Top 5o Themes” and so on, so much so that you can get confused with all the information. 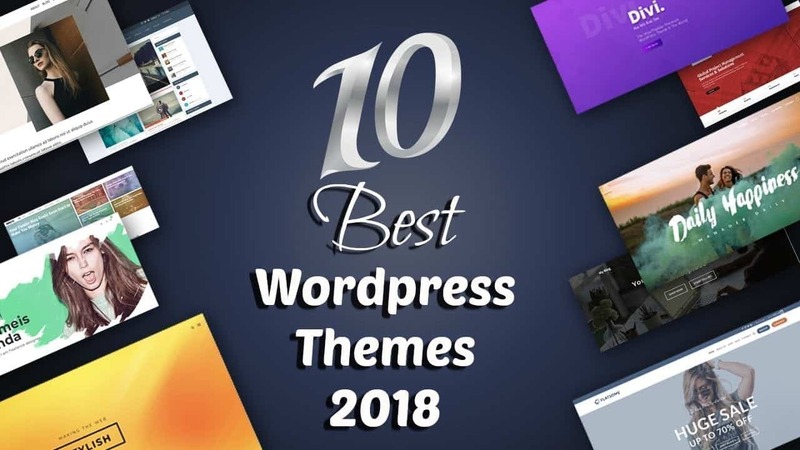 Being a WordPress enthusiast and avid user of the platform, I have decided to introduce you to the top 10 best Premium WordPress themes of 2018. A word of caution, though, before you continue. These are not cheap themes. They will cost you some bucks but they are worth the money. Don’t be scared by the disclaimer. Read on. You might find just the right theme for you here. Moreover, do not feel like you are betraying your favorite theme in case any of the ones you find here captivate your imagination. What you need is a theme that works for you. If it is among the ten discussed here, give it a try. So, here are the top 10 Premium WordPress Themes of 2018. Perhaps the most overlooked of these premium themes, Extra is amazing. Some of its features include like a mega menu, scoring and staring systems and sections to add the overall summary of a product. Bloggers and people who review products will find Extra appropriate. Extra also consists of a page builder that does not require the conventional WordPress editor. This theme also has beautiful picture images and an array of colors to choose from. This is so much on offer for bloggers and reviews website owners On Extra, you can add a video for your readers to play online. Some other amazing features of this theme include the ability of users to log in and out, Amazon-affiliate program compatibility, a summary of products under review e.g. the cost, style. The theme allows you to customize your other needs. There are also social media icons to rate the system, something every serious website owner or administrator appreciates. This theme is super clean and extremely easy for anyone wishing to start a website. 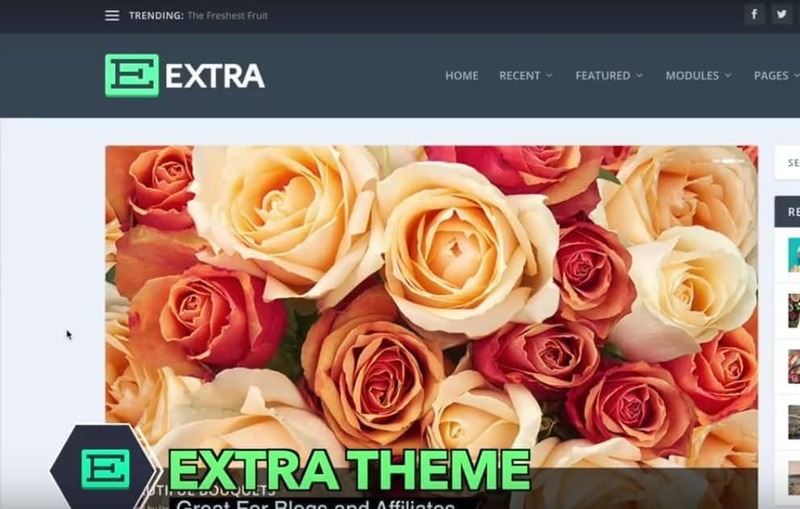 If your website specializes in affiliate marketing, Extra is your best bet. You want a theme that complements the type of content and work you specialize in. Fact is, you are in good company as numerous companies of high repute use Extra for all their website needs. This contemporary theme is easy t0 navigate and friendly to your site visitors. That’s why it deserves to be among the top 10 best premium WordPress themes of 2018. Thrive Architect is not exactly what you call a theme, though we will call it a theme for the purpose of this article. What Thrive Architect does is to appropriate your resident theme and own it. Usurping of themes on a website is a recent trend by page builders. 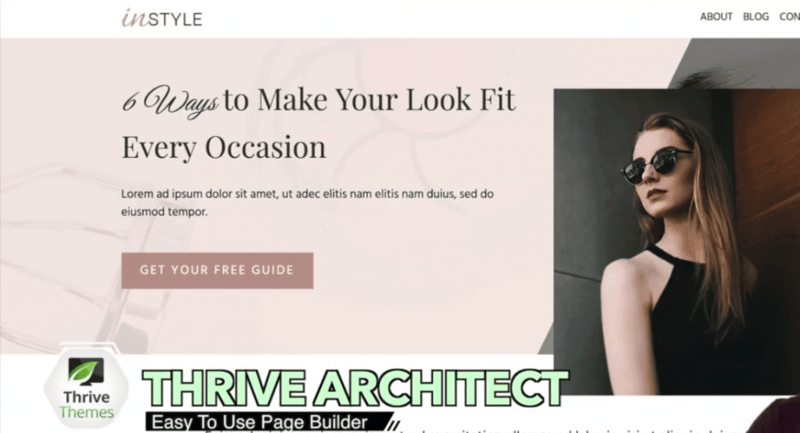 So, we will call Thrive Architect a page builder. It has some impressive aspects and several drawbacks. The good side will be first. If you want to create a website with ease, this is the page builder you should choose. For instance, creating rows and columns is as simple as using MS-Word. This page builder also ensures you create or add text with ease; the same can be said about images. The resulting website is also user-friendly. In essence, Thrive Architect is very easy to understand and master. And now the ugly side. Cost. Prepare to part with close to $70 for every website in which you apply this site-builder. You can’t use Thrive Architect on two websites. You have to make a new purchase every time. This software also takes over your entire theme negating all other designs you might have developed or want to incorporate into your site. It doesn’t matter how good your existing theme is, Thrive Architect will negate it. However, going back to the merits, if you don’t want to waste time creating a website or you are not skilled enough, this is the site builder for you. It’s self-contained. If this is the first time you are hearing about Business Lounge, it is understandable. This theme is relatively new and seriously underrated. Elementor’s users will agree that their themes suffer from footer and shop challenges. There is good news for you in Business Lounge. Your shop section can now be customized with some of the gorgeous designs you’ll ever come across. Business Lounge gives you that stylish and modern look that captivates visitors. There are excellent features for your shop section and you are allowed to customize this part of your site. Reliable rumors indicate that some interesting changes will soon be implemented to further improve this section. 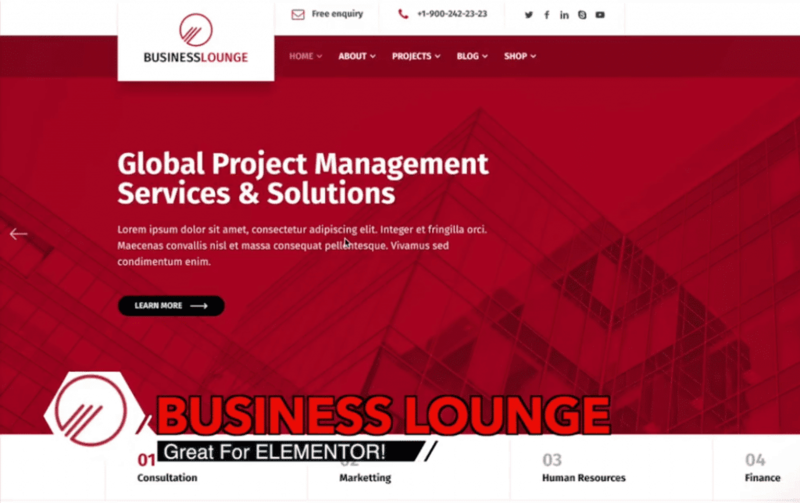 You will also be happy to know that Business Lounge allows you to develop bespoke headers and footer for your website using this theme. In fact, you can have a different header or footer for each page. Elementor is known to lack this kind of flexibility. Imagine having over thirty unique pages and numerous templates. Each of these templates has various log layouts and definite design elements. If you have been using Visual Composure, it’s time to migrate to upgrade to this Elementor theme because it is composure-compatible. This theme has a number of global templates that you can customize to your needs. You can also manipulate colors to fit your needs. Think about your target readers or site visitors and remember you have all the tools you need. This is a great addition for Elementor. If you are intending to build or modify a site that serves multiple vendors, Marketify is the theme for you. It uses EDD selling platforms and is the best solution for online sales challenges. Marketify comes with a number of advantages. This is among the most preferred themes. It is easy to set up and simplifies the downloading process. The theme contains a button importer that enables a site developer to create a marketplace for a single user or multiple visitors. This theme enables you to create a site where users can access comprehensive information on your products before making the decision to purchase. Interested buyers are also able to check out and claim their purchases. The whole process is sequential and easy. 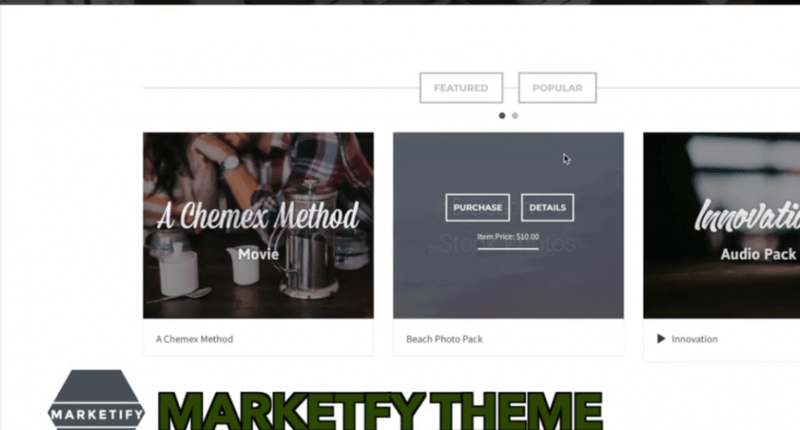 You can sell an array of products if you use Marketify for your website. E-digital downloads such as e-books, stock photos, audios, movies and so on, are best sold on this type of website. This clean, simple theme has several widgets for each section. The front section, for example, has a widget that can be used to feature popular sections of the web. You can also have a widget for ‘Call to Action’. There is no specific page builder but widgets are at your disposal. So, Marketify is essentially the best solutions for selling digital products and general e-commerce services. If you want greater control over your site and generally to enjoy your work, look no further than Marketify. 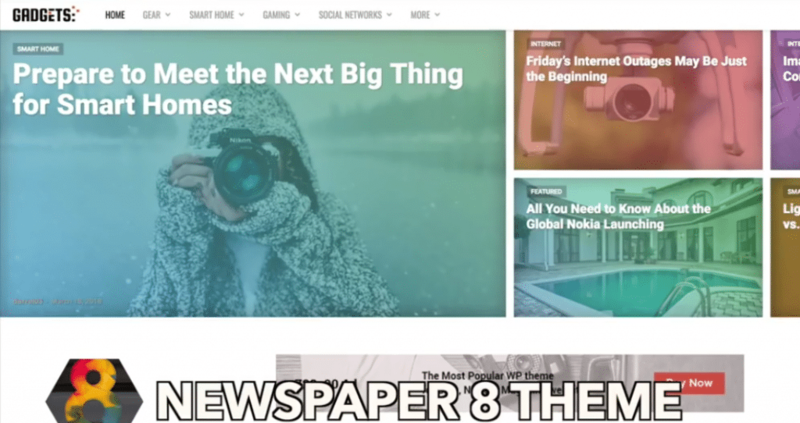 if your interest is to disseminate news through a digital newspaper or you want a website to review website or your interest is in selling Amazon affiliate products, Newspaper 8-theme is appropriate for you. Tons of features and bespoke capabilities make this the perfect choice for anyone who wants to create a news blog. News sites demand for much editing and this theme is the best homepage builder for such a purpose. Newspaper 8-theme is equipped with amazing features that enable changing of styles and colors and makes it possible to emphasize specific aspects of the information page. Twenty unique template styles ease your work when building your site. This theme comes with picture/image embedding capabilities. You can also easily import text which is very important for news websites. For example, you can combine text with a hero image in a flash. Images can also be conveniently duplicated or deleted. This theme should encourage you to get away from Visual Composure, something that most site builders are doing today. Newspaper 8-theme is for people who have a story to tell and want to publish in a manner that is attractive to the eye. With the range of templates to choose from, there is no reason for having a boring website. If you play about with the colors, images, and texts and balance them well, you will be on your way to creating the best blog, online newspaper or news review site there is. This theme uses its own page builder called Tatsu. It allows one to make really simple pages with template and blog sections among others. It is a very clean theme. It is an intuitive page builder that allows you to develop various sections with ease. A more detailed look at how it works will suffice. The page builder is easy to use. It makes it possible to create various elements of a website, complete with color and customized titles at whichever places you want. Since you can drag and drop items and the theme had numerous little widgets, your work is simpler. You can finish constructing your website within a short time. There are also numerous templates at your disposal which leaves you spoilt for choice. Sections can also be added easily by simply clicking on the relevant part of the site. You can also add custom, headers where you wish. With its numerous gorgeous animations and drop features, Onshine helps you to create what can be referred to as a quick website. 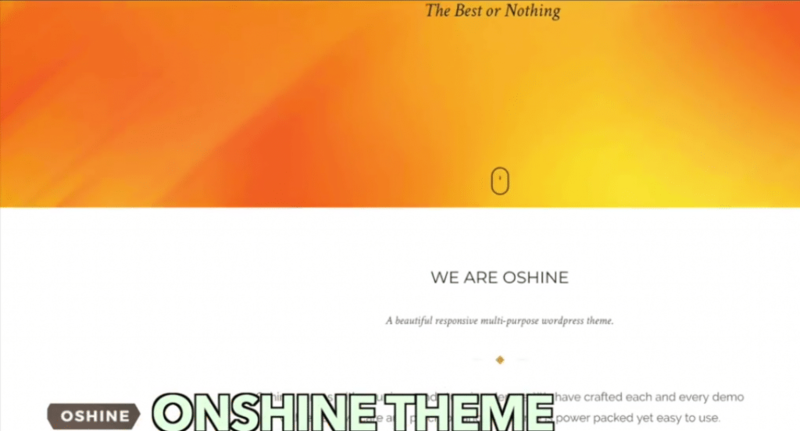 If you are the creative type, you will enjoy working with the Onshine theme. 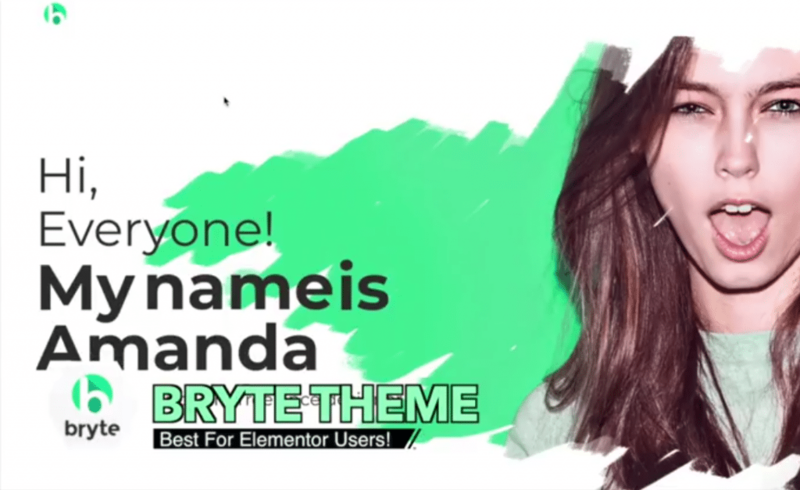 If you are and Elementor user, Bryte Theme is the theme for you. You will never have to worry about the gap between headers and footers. Your shop section challenges will be dealt with effectively. There are tons of templates that come with this theme. The home pages you can create with this theme are many and varied. What more? With the current craze with Bitcoin, Bryte Theme has a full homepage for this purpose. So, if you love Bitcoin or would like to trade in this cryptocurrency, this is the theme you should opt for. The page builder will convince you of its suitability for your needs and why its different from others. For the headers and footers, you can mix and match them on a page. You can also overlay headers and footers on a specific page if you so wish. There are a lot of cool stuff you can overlay to make your site unique and attractive. The blog section is amazing. You can post your content with ease. The shop section is also quite attractive, and there are numerous plugins for this. The plugins are integrated with many other cool features. In case you want to modify the shop section, all you have to do is select from the numerous available options. This will be determined by the type of products you are selling, the payment methods to be used by customers and how buyers will check out and claim their purchases. While you can use a free theme to do some of these things, the fact is, you will spend a lot of time and resources and will end up more frustrated than if you opted for Bryte Theme. The amount of CSS and editing on free themes cannot be compared to parting with a few dollars to use this simple buy efficient theme. This is the most underrated WordPress theme on this list. This is despite having numerous templates. It has its own page builder which has incredible features and blocks for adding sections. The page builder is amazing. It is probably the best in this list of 10 even though it is listed third. 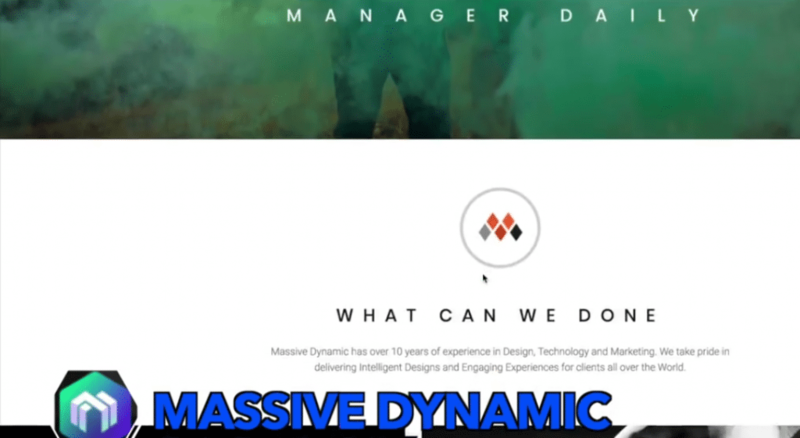 Massive Dynamic Theme allows you to add sections, reduce space, remove some sections and change content on your site. You can also edit with an inbuilt feature and drag text from one section to another. An inherent slider makes modifications easier. This theme has tons of template and you can also import others. This page builder is user-friendly, and you can do pretty amazing things with it. You can mix and match templates on the site and there is a lot of customization possibilities. The header builder makes it possible to design specific headers and footers and it is compatible with convert compatibles. If you are looking to build a business website or blog, this is the theme for you. Similarly, if you want a change to your current theme and want to try out a new one, look no further than Massive Dynamic Theme. This is arguably the best theme for those interested in having functional and gorgeous commercial websites. This platform has over five hundred templates to suit the needs of any website builder. Considering the proliferation of commercial websites, this is welcome news. Flatsome Theme allows you to customize your shop page, account and check out. Normally, most WordPress themes lack this capability. So, the availability of a range of templates that increase your ability to innovate should excite you. 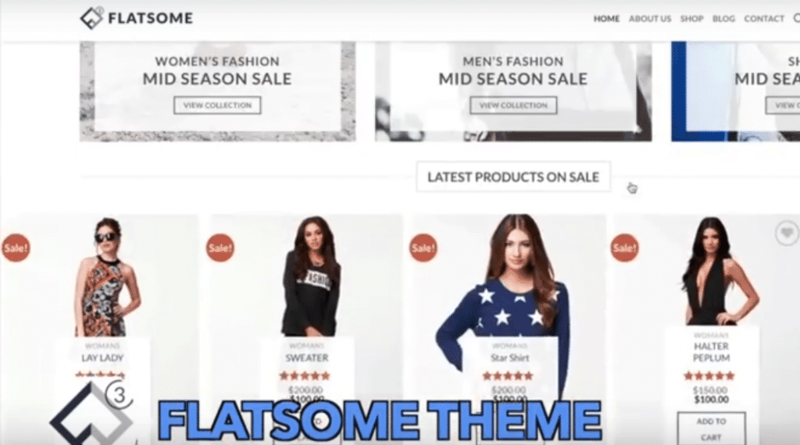 Flatsome Theme studio is easy to use and very quick in installing the features you want. Your work is to click the relevant sections and import items where necessary. This theme also has high uploading capability. You can change styles on the shop page. You can also add products to a different part of your website. There are several different styles of presenting your products and prices to customers. Many beautiful CSS capabilities are built into this theme. Plenty of cool features are available for you to exploit. This theme is excellent for decorating a website. Flatsome Theme also works perfectly with social media, allowing users to log in through social media. In a world where social media drives significant sales volumes, this feature will come in handy for e-commerce website owners. It does not matter what you are looking for; Flatsome Theme has it. I have used it before and enjoyed its functionality. It is not surprising that this theme tops the list. There are many people who have tried other page builders and have experienced serious disappointment. When such people come across Divi they wish they had tried it before. This is the easiest page builder to learn. It is the most intuitive WordPress theme, too. If you enjoy customizing websites, this is your theme. Divi is often referred to as the visual page builder, and for good reasons. It is hardly two years in the market but it has gained a lot of popularity. This theme allows you to add sections and respective rows and columns when building your site. Adding text and modifying it is very easy with Divi. You also get the chance to customize background colors. 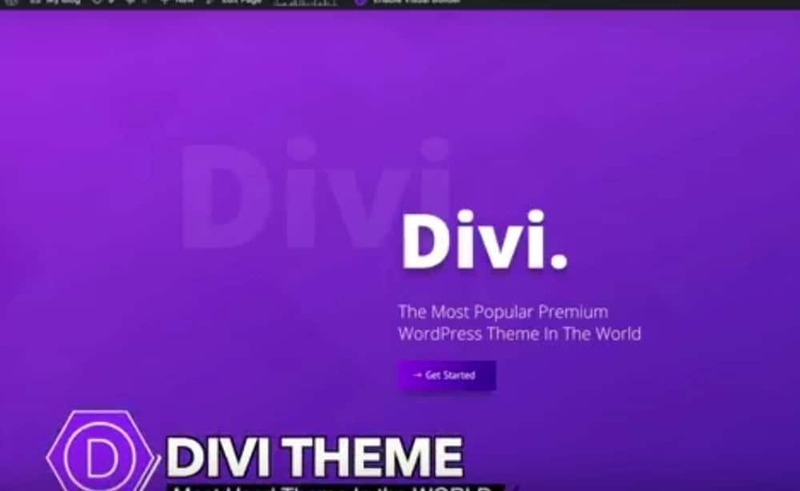 Divi has a large library with tutorial and other tools to help you tailor and make your website operational with ease. There are various premade layouts, shape dividers and design changing options. Now that you know about these amazing top 10 best Premium WordPress themes, choose the one that works for you. None is better than the other. If you website is not broken; don’t fix it. I have not discussed may other WordPress themes because space and time are not enough. But you can still visit them and rate them. Please visit my YouTube channel to get more details. Here you will get valuable information on many other WordPress related issues. Spread the word. Darrel is a wordpress promoter who teaches free wordpress tutorials on Youtube, Udemy, And SkillShare. He enjoys hiking, trying asian food, and taking his dog to the beach. He continues to provide free tutorials for wordpress themes, digital marketing, and wordpress plugins.